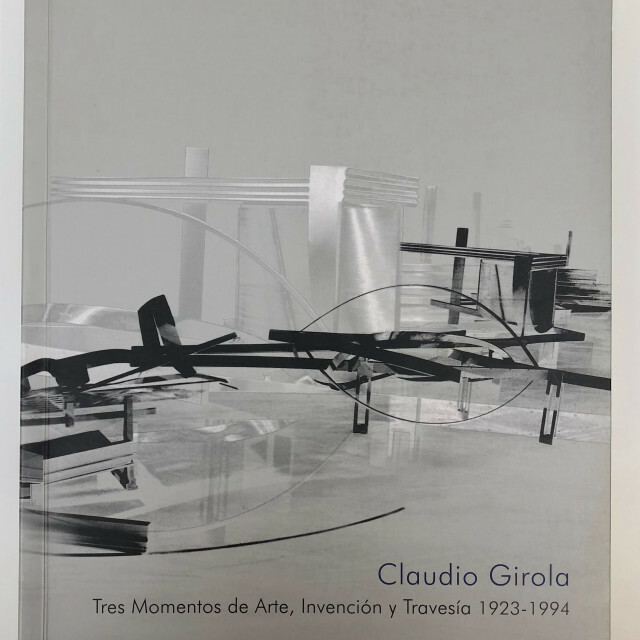 Analysis of the work and life of the Argentinean artist Claudio Girola, founder of the avant-garde Art Concrete-Invention movement in Buenos Aires in 1945, and in 1952 of the Architecture Institute of the Catholic University of Valparaíso, which he remained linked to until his death in Viña del Mar in 1994. 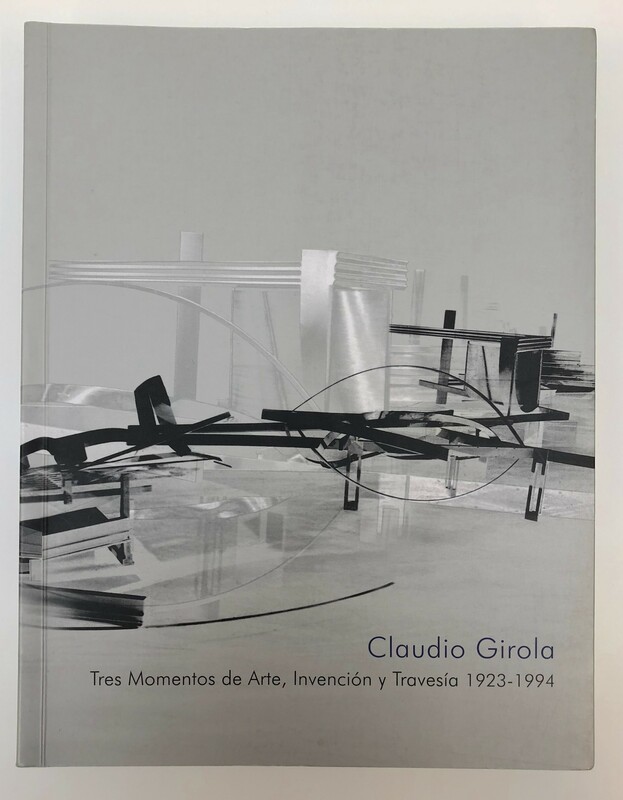 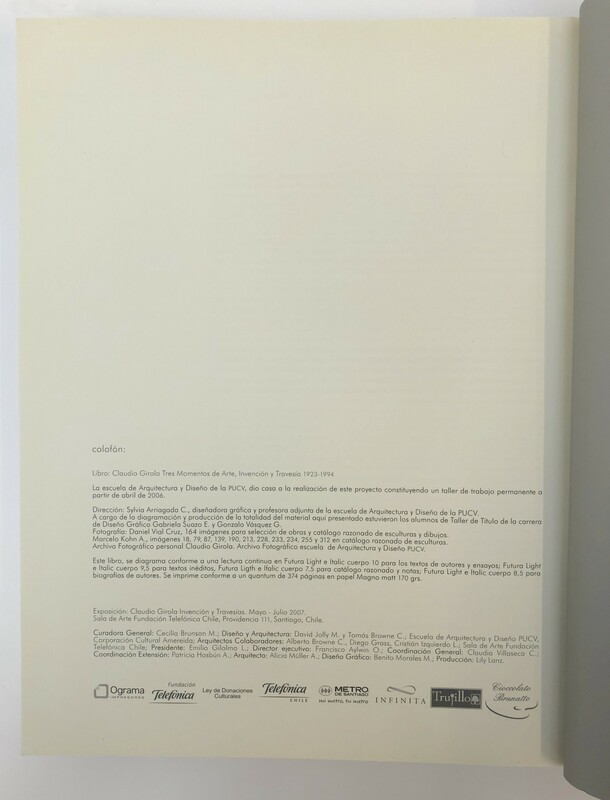 The book incorporates a selection of works, writings, essays, and the first cadastre of its complete production in Argentina and Chile (sculpture, drawing, publications and exhibitions), which together express their particular vision and approach the sculpture. 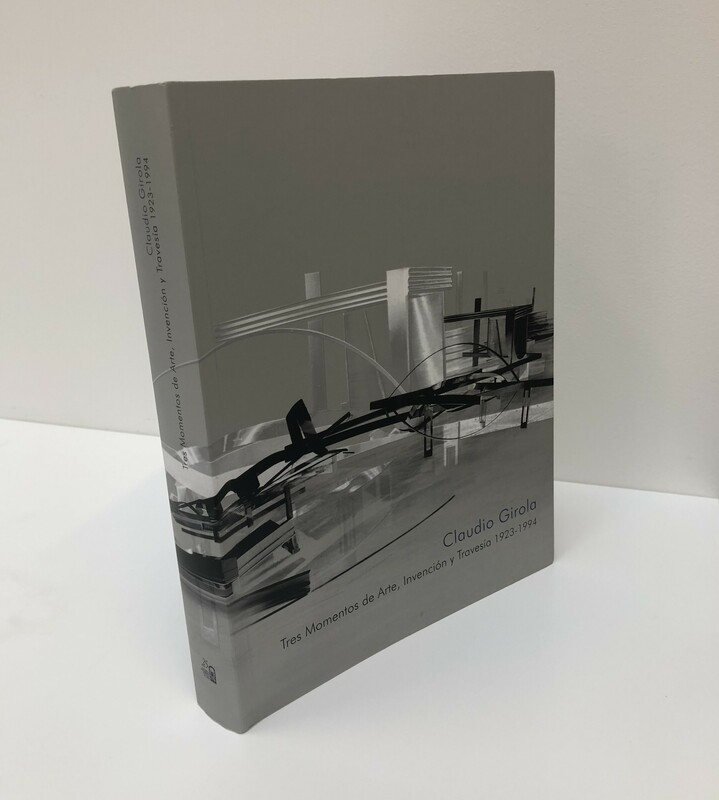 In addition, four leading professionals develop a critical and historical analysis of the artist's production.